Diapers are on every baby’s needs list — and this year, in the aftermath of one of the strongest hurricanes to ever hit the Atlantic, more babies than ever before need our help. The Lewises*, a foster family of eight, with four children in diapers, evacuated their home as Hurricane Irma threatened to ravage the state of Florida. When the family returned home, they were met with property damage, spoiled food and added expenses from their eight-day evacuation. The 7th annual diaper drive launched earlier this month. 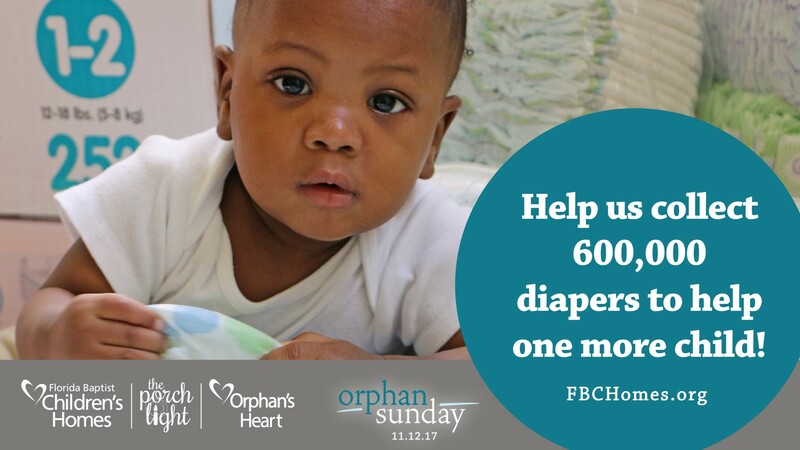 We need to collect 600,000 diapers to lighten the burden, and meet the growing needs of children and families, like the Lewises, across the state of Florida, and through our international ministry, One More Child. As we reach toward our goal to help more children, we need churches, businesses, Sunday school classes and individuals to engage with us by hosting a diaper drive between now and Orphan Sunday, November 12 — collecting diapers of all sizes. Generous churches and donors have made it possible for us to answer the needs of the families, like the Lewis family. 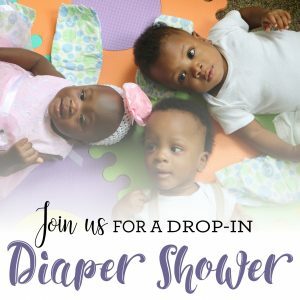 And, now with families and homes devastated after Hurricane Irma, we need diapers like never before. Would you help us reach our goal this year? For more information, a chance to win a mission trip with One More Child, or to sign up to host a diaper shower today, please visit FBCHomes.org/Diaper.